Long long time ago, when my little brother was really tiny, we liked to play around my mom's dressing table. Of course her dressing table was full with makeups and tools. One day, my bro came across something and asked me, "Che che, what is this thing?" I have to admit I really don't know what the hell it was, but I saw my mom use it a couple of times and it has something to do with the eyes. I held the tool, inspect it for awhile. Being the elder, I have to show my younger bro that I know everything, so I resort to lying to my bro. I told him, "Mummy use this thing to dig out her eyeballs. When she needs to see then she will put her eyeballs back in the eye socket." My bro looked at me with eyes wide open, his mouth was almost open too, "Che che... really one ar?". Me, "Really one!" Then he ran to my mom and cried, "Mummy why you dig out your eyeballs?". My mom had totally no clue what was going on. LOL! Tweezerman Eyelash Curlers. From L-R: Precision Classic, Rose Gold Toned Procurl, Tweezerman for Benefit, Super Eyelash Curler. 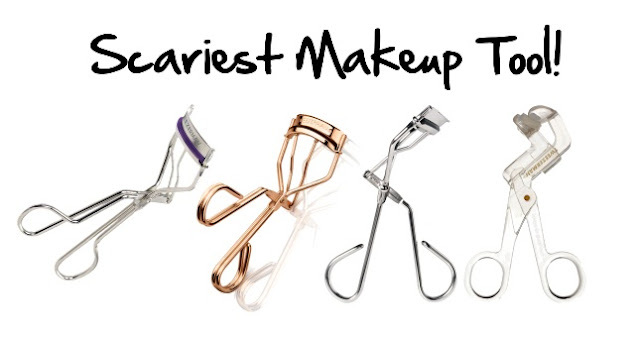 You can buy the most raved Tweezerman eyelash curler HERE. Sheseido's eyelash curler is da best! 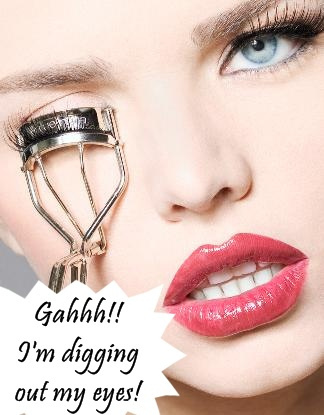 Hate using eyelash curlers. Make my eyes water every time and ruin my makeup lol. LOLLLLL... that was a great lie! I was clueless about this curlers until i was in the university. Before that, how on Earth can this tiny "comb" the hair and make it curly? Thats very funny. I LOL at my working desk now. But your rite. I scared of that tool and still scare of it now. I tried once and i don like it. I always have a feeling that this tool will cut my lashes, so i never use it.